A broad base of legal knowledge makes for a broad understanding of complex legal Issues and their solutions. With over two decades of experience, Michael Eisenberg will be your legal helping hand. As the only attorney in the office, I am the only attorney who will handle your case. 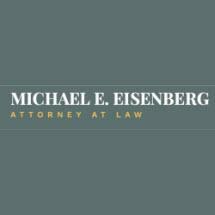 Michael Eisenberg has been practicing law in Montgomery and Bucks counties, as well as the surrounding counties, since 1987. Michael is also admitted to the United States District Court, practicing in the Eastern District of Pennsylvania Bankruptcy Court.